This is one of the best looking retro-concept vehicles by any manufacturers in years. This coming from a fan of BMW's many retro-concepts. I love the exterior design and the proportions are spot-on. This one's profile reminded me immediately of the e9 BMW 3.0CS, one of my favorite '70s production coupes. Disclaimer: I once owned the classically beautiful Alfa Romeo 2000GTV; rust never sleeps. One thing, though. Ford is on the line. They want their Mustang taillights back. Wow, that's refreshing. It helps that it's not bulky and bloated like most modern cars are. Look how skinny the a-pillar is. That is one of the most beautiful details of the car: the A-Pillar. But I suspect is too thin for a production form. Another detail about that A-Pillar is that are, in fact, two A-pillars: one in the upper side of the door and the other placed forward, in black, allowing the windshield to look enveloping. Very ingenious and of an incredible beauty. Ouch!! What came first, the chicken or the egg? 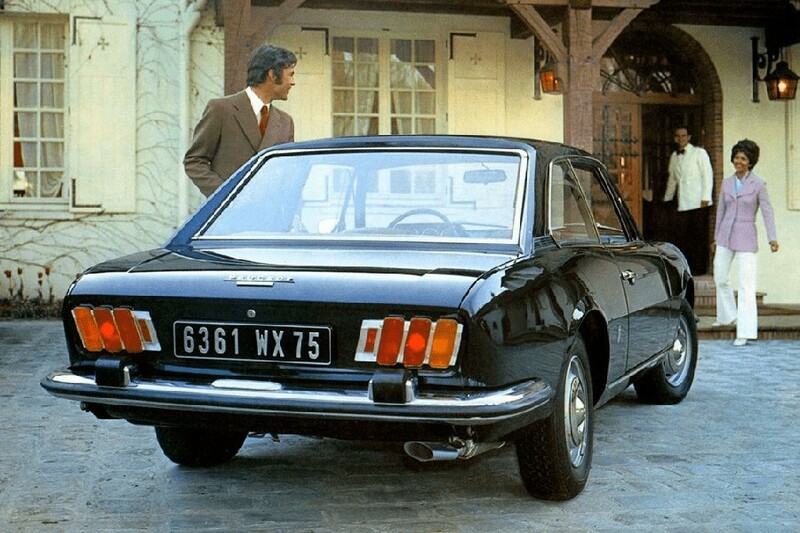 The Peugeot 504 was launched in 1968... so... the pony came first!